Zwoop wants to transform how the world shops by enhancing and making e-commerce more efficient via AI and blockchain. 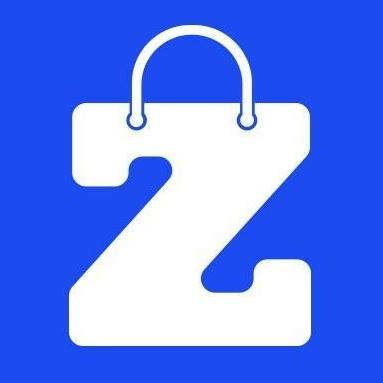 While e-commerce enhancement is a popular blockchain use case, Zwoop aims to differentiate by promising customers the ability to find any product from every possible listing at the best price with a secure and fast checkout. In other words, this would be like an Amazon featuring only low prices where nothing is ever out of stock and you can always leverage one click checkout. By providing a blockchain and AI based e-commerce find engine, Zwoop aims to remove frustrations and inefficiencies such as restricted choice, slow checkouts, biased selection, unexpected charges, and the harvesting of personal data. While we like the platform and the team seems knowledgeable, we have many concerns with the group. First, despite positive press and online articles about the project, we found out that the ICO has been suspended until further notice due to the non-acceptance of their token in multiple jurisdictions. While the token use case on paper made sense because it enabled shoppers to earn rewards from using the platform to shop as well as share their data, this suspension is troubling. Furthermore, while their team has many developers, they seem to lack experience in both legal and ICO startup strategy. Ultimately, ecommerce is a very popular market for blockchain startups, and there are plenty of ICOs out there that do not have suspensions. We do not have confidence in Zwoop at this time, and would not advise putting money into their project until this is resolved. How to invest: Zwoop’s pre-ICO has been suspended until further notice. They state in a blog post that they are ensuring all legal issues are dealt with before the launch of the ICO. Problem addressed/solved: Today’s e-commerce market isn’t designed to suit the needs of consumers. Shoppers have to visit multiple websites, search and compare products, check for sizes, colors, availability, and delivery costs, and then often suffer a slow check-out process. Even after all that, there’s no way of knowing they’ve gotten the best deal, with e-marketplaces and search engines giving restricted and biased results. That might explain why almost 70 percent of online purchases are abandoned before completion. Target customers/customer/ segments/verticals: The platform is designed for consumers across the globe to find the best possible price for an item online. Zwoop will generate its revenue via providing space for advertises to post on the platform and even put their products in the limelight. Zwoop offers advertisers a truly commerce-specific, transparent, targeted, and fully auditable platform utilizing the blockchain. Value creation: The Zwoop Find Engine, utilizes AI to search every online site so users can find available products at the best price, matched to their specific needs, including size, color, and other preferences. 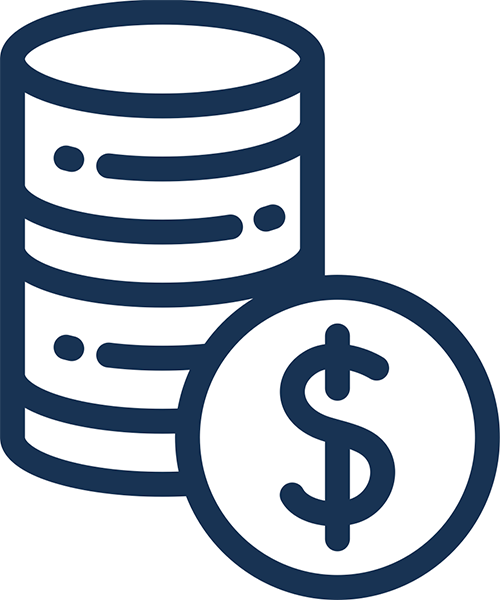 Users can then checkout in crypto or fiat currency with an automated, one-click checkout service, all while protecting their data. Competition: Competing products that don’t utilize the blockchain offer similar services to Zwoop. A Chrome extension that goes by the name “Honey” is primarily useful for Amazon shoppers. It lets you know at check-out whether another distributer can offer the product at a cheaper price. It appears that Zwoop might be the only blockchain startup that is also entering this “best deal search engine” at the moment. A huge advantage they have is the use of AI to search on the web vs. a basic search engine that can’t take things like sentiment into account. Market size/potential: Zwoop extends across all products and categories offering the same capabilities from apparel to electronics, homewares to office, and everything in between. As a result, the target market for Zwoop is enormous. In 2017 around $2.3T of products were sold online, a figure that is forecast to reach almost $4.5T by 2021. Regulatory risks: There is heavy regulation risk for the e-commerce market space revolving around PCI compliance for transactions as well as GDPR for customer data protection. Most importantly, the crypto regulations on a whole have detrimentally taken a toll on this ICO, as the token did not pass regulatory mandates and the ICO has been suspended. Investor value: The Zwoop token, ZWP, is a utility token that allows Zwoop platform users to access and purchase products and services. It has been designed to have multiple uses, both within the Zwoop platform and through third-party participation. This creates longevity for the demand of buying and selling ZWP tokens within the market, likely causing the value of the token to rise. Disclosures: Zwoop spared no expense in the making of their documents. Considering the company was founded four years ago, they’ve had plenty of time to write, organize, and deliver all necessary documents to ensure complete transparency of their project. They also constantly update their blog to make sure investors are always informed. Token distribution: 30% Sale, 25% Crawling Pool, 16% User acquisition and go to market, 10% Founders 12-month lock, 10 % Team 12 month lock, 6% Partnerships, and 3% Advisory team. Use of proceeds: 40% global launch, 37% development, 12% resourcing, 8% legal, and 3% advisory and consulting. Track record: Zwoop was founded in 2014 and has spent over 100,000 hours developing their platform. The project is led by a stellar CEO in Alessandro Gadotti. He has a Ph.D. from Rome University and was at one point the youngest partner in the consulting division at Ernst & Young. He’s also a serial entrepreneur who’s had experience managing over 5,000 people at once, and he’s the founder of MPayMe, raising a multi-million series A funding and exiting with success in 2014. The rest of the team has years and years of experience in their respective fields. A few notable companies they’ve worked for include EY, PwC, and McKinsey. Integrity: The vast majority of the Zwoop team are deep into their professional careers. Most have accolades to which many people in the workforce can only aspire. After reading each team member’s bio and diving into their LinkedIn accounts, there has yet to be anything that indicates an untrustworthy side of the Zwoop team. MVP: In April of 2018, Zwoop had 45+ full-time engineers and data scientists and 9 Ph.D.s in 3 separate offices work to create the beta version of Zwoop. They then conducted a public UK beta testing (30,000 testers, invitation only). The beta is not available for everyone to try, but Zwoop does have YouTube videos that demonstrate the functionality of the platform. Token use case: The Zwoop Token Economy is a balanced ecosystem of rewards, incentives and loyalty programs designed for consumers, merchants, and advertisers, and is driven by Zwoop tokens (ZWP). ZWP tokens allow people to access and purchase products and services on Zwoop, and function as a means of authentication. Value-added: The Zwoop platform simply cannot function without the ZWP token. It has great utility on the platform, which is why it could potentially become of great value. It’s not only used to purchase services or reward consumers/merchants, but it will also be used as a means of authenticating merchants. Having said that, consumers still have the option to check out using fiat instead of crypto. This might dilute the value of the ZWP coin. Decentralization: Zwoop will be providing a middle point between a pure decentralized blockchain and a traditional centralized database, allowing users to transfer tokens and information from the blockchain to the side chain and vice versa. Technical difficulty/investment expertise needed: Zwoop wants to transform e-commerce for consumers by using AI to find the best possible deals on the web, matching consumers with products that hit their exact specifications. It’s a simple idea with a complex background. The Zwoop introduction video can be found at the following link. Halo effect: The Zwoop API platform will allow third-party integration and extend Zwoop use to partners that add value to the ecosystem and both contribute and benefit from the large Zwoop user base. One example of these multiple partnerships is Zwoop’s partnership with Dropp.tv, whose proprietary technology allows users to watch video streams and shop or store the products they see in real time. Buzz: Zwoop’s best social media platform might be their blog. They constantly update it to keep investors aware of ongoing proceedings. Their social media platforms don’t slouch either. Their Facebook (395), Twitter (12.6k), and Telegram (15,027) accounts have a decent following but lack the active engagement that actually makes them worthwhile.